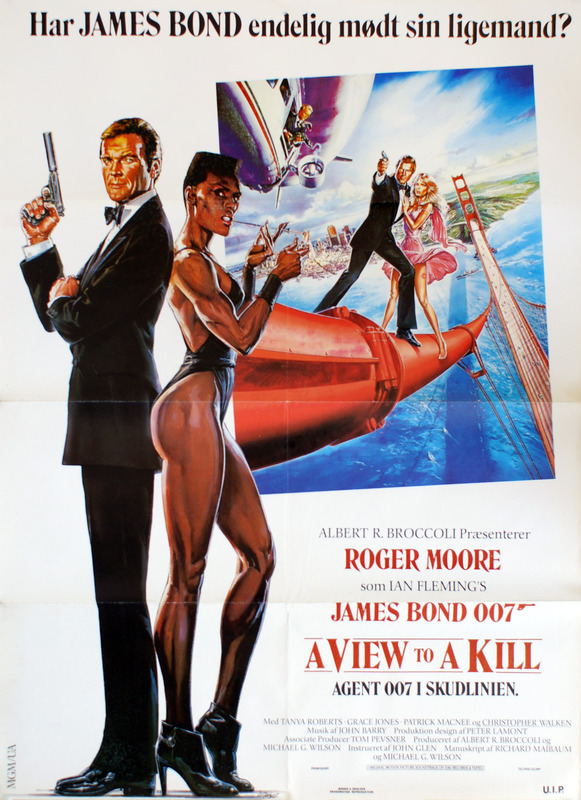 The 14th EON-produced James Bond film, "A View to a Kill", was released theatrically in Denmark on August 9, 1985. Copenhagen-based ad agency Jensen & Dencker produced the theatrical poster for the film's local distributor United International Pictures. The ad campaign combined two pieces of artwork created by Dan Goozee for the US teaser poster and the final US one-sheet respectively. The film's Danish title, "Agent 007 i skudlinien", means "Agent 007 in the line of fire".